Form 1040X allows you to report changes to your original Form 1040. 1. 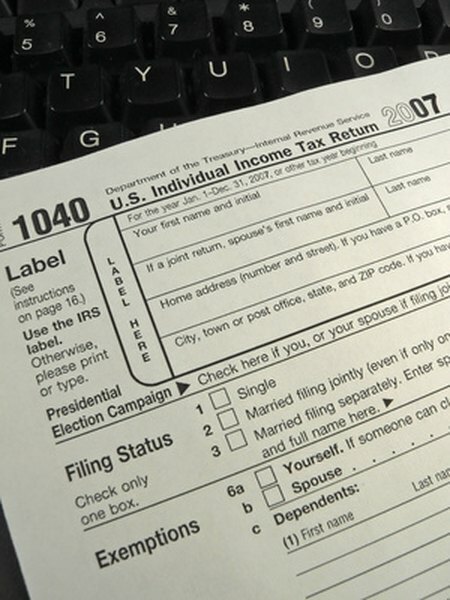 Can I Change My Taxes if I Forgot a Deduction? 2. Does Amending Taxes Red Flag Them for Audit? If your mileage records are less than perfect because, for example, you compiled them from memory after the fact, you can end up omitting trips when you file your tax return and remembering them after the return has been sent. Correcting the mileage figure reported on an individual tax return -- perhaps to increase your deduction and thereby reduce your tax obligation -- requires filing an amended return. Recalculate your mileage and recheck the calculation. Get your original tax return from your files. Since you are making a change to only one deduction, you need other figures from your original return to recalculate your total deductions and figure your tax liability. Recalculate your total deductions to include the new mileage calculation. Download Internal Revenue Service Form 1040X from the IRS website. Enter the recalculated deduction figure on line 2 under Income and Deductions. Deduct that figure from your original adjusted gross income figure. Subtract the original exemption amount from the result to arrive at your amended taxable income. Enter credit and payment information from your original return and calculate according to the line instructions. Write in Part III on the back of Form 1040X that you miscalculated your mileage on your original return. Sign and date the form and mail it to the IRS address for your state, which is listed in Form 1040X instructions. You can file an amended return up to three years after filing the original return or up to two years after paying the original tax due, whichever is later. Allow eight to 12 weeks for IRS processing of your amended return. What If You Forgot to Deduct Your IRA Contribution?